Sponsored links/ads – if you’re receiving payment for a link, either directly or via something like an affiliate program, it’s a best practice to apply a nofollow tag to avoid seeming like part of a link scheme. Untrusted content – nofollow lets you say “I’m linking to this page, but I don’t want to be seen as vouching for its content”. This is especially helpful for dealing with comment spam links, though you might also want to use it in your own content. While some webmasters advocate using nofollow on all external links as an SEO tactic, Matt Cutts, of Google fame, has stated that using nofollow in this manner is unnecessary. If you only need to use the nofollow attribute infrequently, it’s not difficult to manually add the code yourself. This method is good for any links that you add in regular WordPress content. But if you want to nofollow links in your comments, the plugin in the next section offers a simpler implementation. Find the part of the HTML that says href="examplesite.com"
And that’s it! You can now return to the Visual tab of the WordPress editor and continue with your post. Your link will look 100% normal in the Visual tab, but the nofollow attribute will remain. You can perform a similar process to add nofollow links in other areas that use the WordPress text editor, like a Text widget. 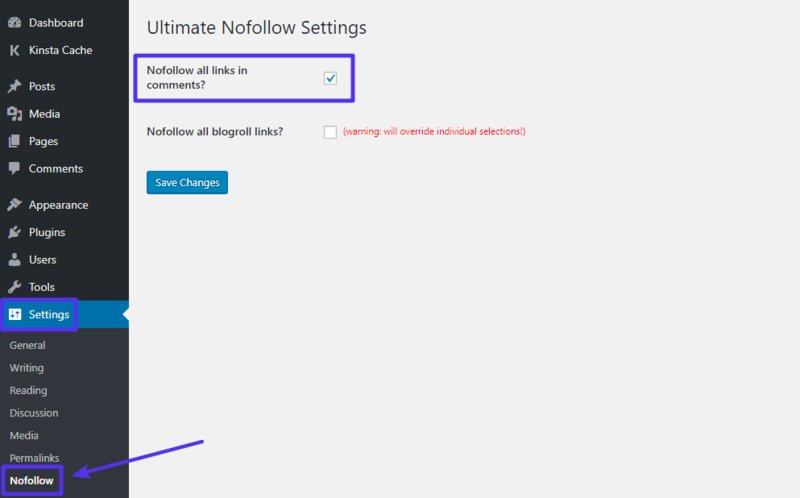 If you often find yourself needing to use the nofollow attribute, or if you want to automatically apply the nofollow attribute to certain types of links (like blog comments), then the Ultimate Nofollow plugin provides an easier solution to manage nofollow links in WordPress. 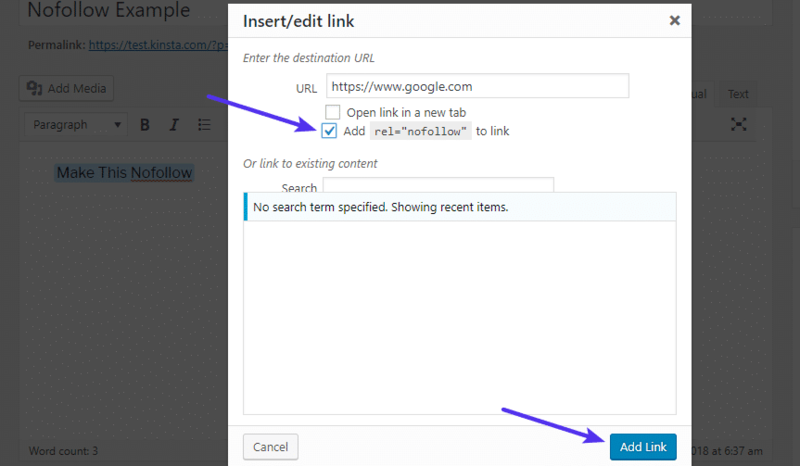 To use the plugin’s functionality to nofollow a link, insert a link as you normally would by clicking the Insert/edit link button in the WordPress toolbar. That’s it! Your link now has the nofollow attribute. If you want to automatically nofollow all the links in blog comments on your WordPress site, go to Settings → Nofollow in your WordPress dashboard. Once activated, any links that appear in your blog comments will automatically have the nofollow attribute applied. 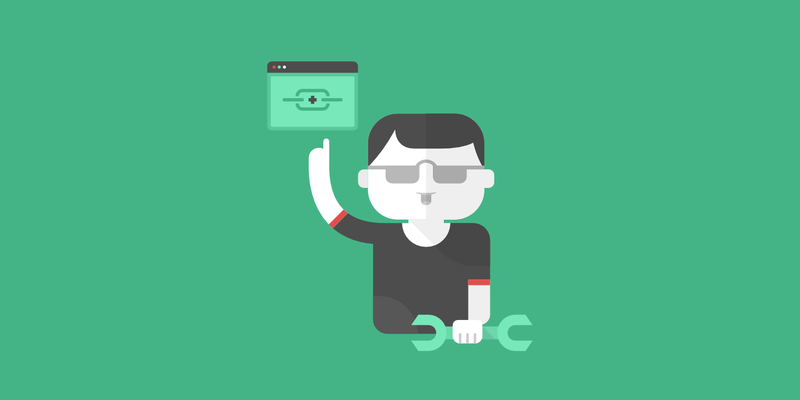 For more discussion on nofollow vs dofollow links, check out our SEO checklist post.